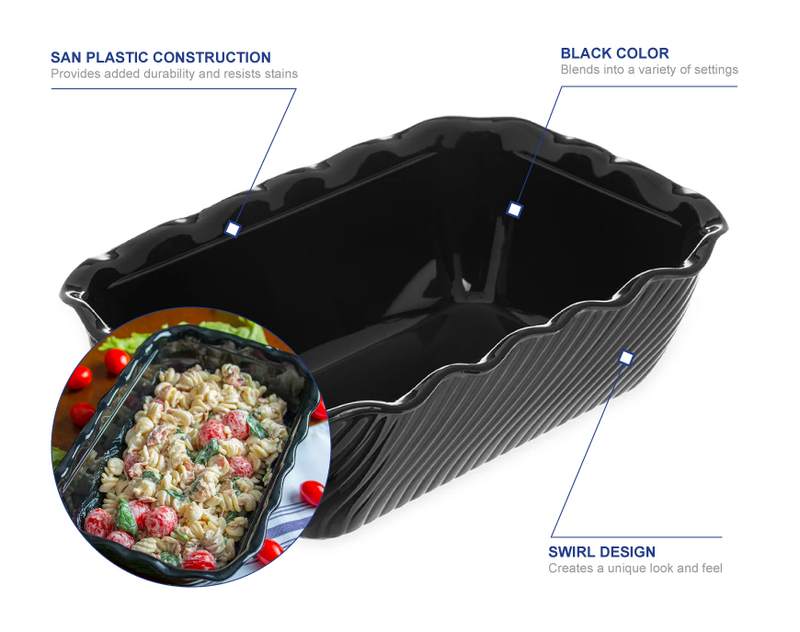 The Carlisle 696303 Tulip Deli™ salad crock comes in black to easily blend into different décors while allowing product to stand out. There is a scallop edge and swirl design on the exterior to give tabletops and salad bars a unique look. 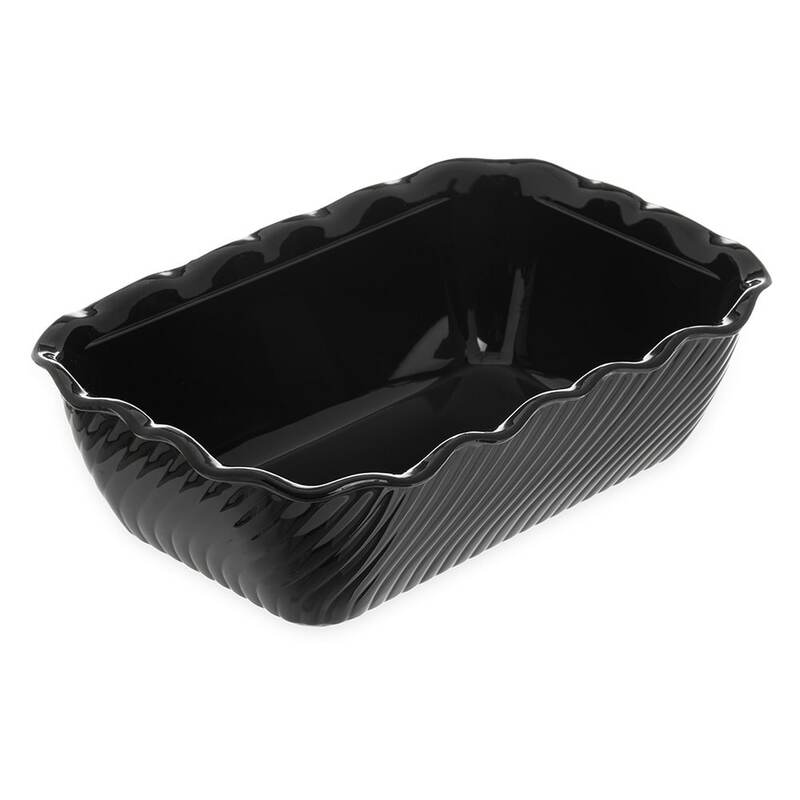 Made of SAN plastic, the dish resists damage from acids and oils, staining, and breaking. Saving space in storage, the Carlisle 69603 Tulip Deli crock can be stacked with other dishes. It has a 5-pound capacity.